Railpictures.ca - Matt Watson Photo: CN 396 is at the east end of Mansewood with a great lashup consisting of CN 5423, WC 3017, and ATSF 858. | Railpictures.ca – Canadian Railway Photography – photographie ferroviaire Canadienne. 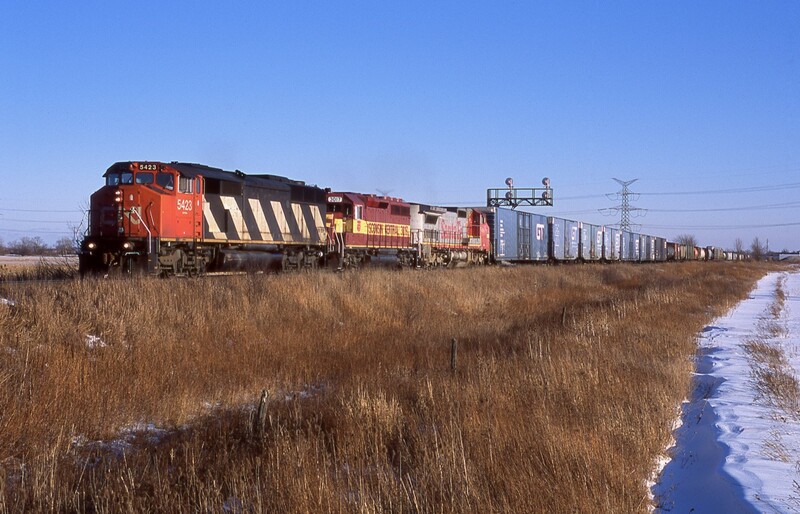 Caption: CN 396 is at the east end of Mansewood with a great lashup consisting of CN 5423, WC 3017, and ATSF 858.